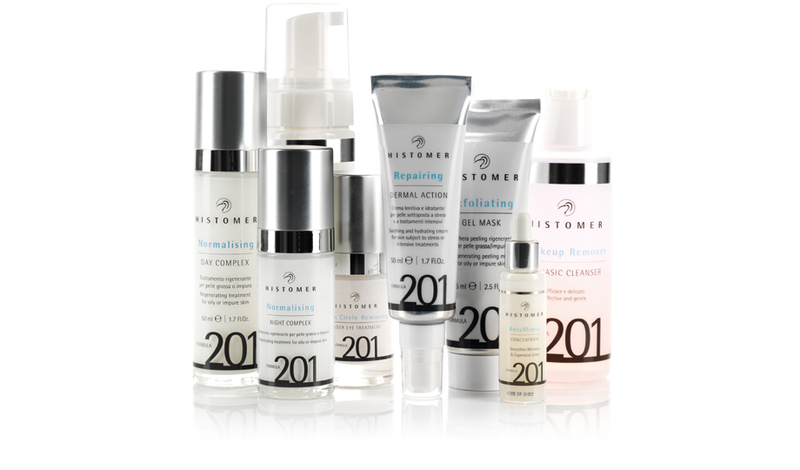 from chrono-ageing to photo-ageing, from wrinkles to dark spots, from oily skin to juvenile acne. It represents the headmost Formula 201 anti-ageing treatment. It is a very extraordinary and unique skin renewal treatment, granting in about 8 weeks a reduction of all chrono-ageing signs, such as wrinkles, expression lines, loss of elasticity, dark spots and uneven complexion. Is the Formula 201 range of products adjuvant in anti-acne treatment. With its extraordinary combination of anti-bacterial, anti-seborrhoeic, skin purifying ingredients, and with the stimulating and regenerating power of botanical stem cells, it represents a simple, effective and well tolerated anti-acne treatment, ideal to counteract all possible signs of acne. A group of Formula 201 products specifically designed to treat specific areas/needs. Simple and effective formulations studied to reduce localized imperfections (eye contour, lip contour, forehead) or to remove make-up and gently cleanse the skin.